OK, let's start by stating two pretty certain facts. 1) We could do with more clicks. 2) It doesn't look like we'll simply be given them. So, what could be done? Get my imagination out for a compromise of course! I've thought of three ways we could see this clicks issue change that are... Zynga style ideas. I know, I know. We've got a Pavlovian reaction to the word building these days, be it for space reasons (although it's rare to find a really tight space issue these days of storage and expansions) or just for building issues. But let's be sensible, not only do we know it's a favourite of Zynga, it's also not so bad if we're building it with a view to a good outcome, like we did with the Irrigation Station. A convoluted build, sure, but with the excellent end product of something that makes a difference to our gameplay. One building, and when completed we get 50 extra clicks per day. I think we'd ALL agree a manual build would be far better than a Horseshoe Purchase, yes? Option two is inspired by the Clock Tower, a building with a good boost that affects gameplay. From the Board we craft a boost that, once a day, resets our clicks. Used your 50? Just click the Board, select "Click Reset" and bam, 50 more clicks to use on the wall. Make the boost craftable from something on the homestead and a request, either DR or wall, and we're paying 2/3 clicks or sends to get 50, pay small, get big, and with the chance to stock up. The simplest of all options. Clicks and requests are basically mail, right? So, we have a mission thread where we use new technology, including the railroad, to streamline the Frontier Mail Service. It's a five mission thread with each mission giving us an extra 10 clicks, so we get more and more help towards the missions the further we go through them and feel we're really achieving something. Mission: We need to make sure those horses for the Pony Express are the best we have! Ask your friends for 10 Freshest Feed to give your horses energy! And bam, at the end of the mission thread, 50 more clicks, 10 per mission. I don't doubt they'd need to be tricky missions, but c'mon... wouldn't you be happy with some tricky missions if it was giving extra clicks? Bottom Line, we need clicks, so maybe it's time to tell them we'd happily work for them instead of just being given them, after all, it's got to be a better reward than some more coins and a decoration, right? bottom line...they need to stop rolling out new missions until at least half of the old missions are done!!! I agree I have so many going I never get anything completed.. I wish they would time the new mission releases with how long it takes the average person to finish the last one plus a couple of days downtime to give us time to actually work on our homesteads instead of this non-stop hustling for parts as it is now. I agree. I have a lot of older missions that I just can't ask for enough stuff to finish them. Hubby had over 60 old missions he can not complete. stress and more stress instead of enjoying the game. Maybe there is a way to earn a "finish mission boost" that we can choose which mission to have finished for us ?? But don't make it too hard or we will still be in the same mess, too many missions to ever finish. Thanks for considering it. i thought the 50 clicks were facebooks regulation...not zyngas??? 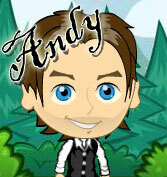 Andy..you're brilliant.sounds terrific to me. 50 clicks is not sufficient with the missions. I use more than my 50 everyday and 100 would be great. Would we be able to carry over any unused clicks?..LOL..Thank you for sharing your ideas..Have a great day! great idea! How about purchasing more clicks? Coins, not horseshoes. I've got 32,000,000 coins & nothing to spend it on that is worthwhile. Clicks would be great. I agree wholeheartedly that is one building i would be happy to upgrade for !! Oh, YES! And while you're at it, see if you can convince them that begging for SO MUCH JERKY is NOT the way to keep gamers happy! 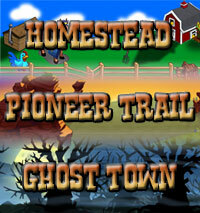 option 4 (true zynga style): pay now to get 50 extra clicks for only 200 horseshoes! Sound good to me....also they need to fix the neighbors list....If we have neighbors that don't play any more we can't get rid of them and get some that do play...That alone makes me want to quit playing this game....my neighbors list is full and I can't get the help I need to do the goals they want us to do...I get maybe 0 or 1 click of each post I post......not enough of my friends still play this...I do love this game but they need to FIX the Neighbors Tab!!!!!!!!!!!! There's no point in going down this road because we'll need so many clicks to complete their ridiculous mission requirements it would take a month to get the 50. Sorry to be so negative but I can't see why they just cannot increase our clicks without any palaver. I like your boost idea best. Most like what they'd actually do. I've read, however, that it's actually Facebook regulating that and not Zynga. Something about never of players affecting the numbers of posts we can click. I'm good with any of these ideas. How do we get Zynga to work with us? Thanks, Andy. BYW, you're a very good writer. 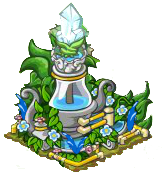 I'm wondering with all the new Trees coming out, is there an Orchard Expansion available or will be offered? Theses are all great ideas! Let's hope for a good change! AM WITH CHERYL FIX THE NEIGHBORS TABS MY BUTTONS GONE MISSING IN ACTION ! AND THE NOTES BOARD WELL IT`S WHAT THEY WANT US TO DO NOT WHAT WE NEED ! I THOUGHT WE MIGHT BE HELPING OUR FRIENDS ! MISSION NO WE WOULD USE 50 CLICKS TO EARN 50 WHATS THE POINT IN THAT ! I love all your ideas. I'm not sure if you read all the comments but I would like to put a bug in your ear. I would like to see the developers add a line at the end of each mission that after 60 days from mission release that the items needed can be gifted from others inventory. That is one way for everyone to get help on old missions. there should be no reason why they can't put the clicks back on a renewal every 12 hours like it used to be. would be great if we could use some of the excess in our inventory at the barter shop and exchange it for parts we need. (mostly the ones we have to keep requesting from neighbors over and over and over and over.) use part coins and part excessive inventory. I think we should earn more clicks without having to do anymore work than usual. it could be based on level. the more you play the higher your level the more clicks you need to keep progressing. Ok Andy,The job is yours sounds like you have more sense about it than the the ones who actually create the game.You have a brilliant idea there. fantastic idea, i agree 50 clicks with missions in which we have to collect about 500 things to get them finished is ridiculous! and than those very short time to finish a mission it is more like a contest! we want more clicks and the suggestions you made are fantastic. Requests. Alternating the method. First is a feed post next time a Direct Request, then back to feed post. Add Real Active Players tab to all Direct Requests & Gifting lists.